Summary: The Difference Between Operating System and Windows is An operating system (OS) is a set of programs containing instructions that work together to coordinate all the activities among computer hardware resources. A stand-alone operating system is a complete operating system that works on a desktop computer, notebook computer, or mobile computing device. 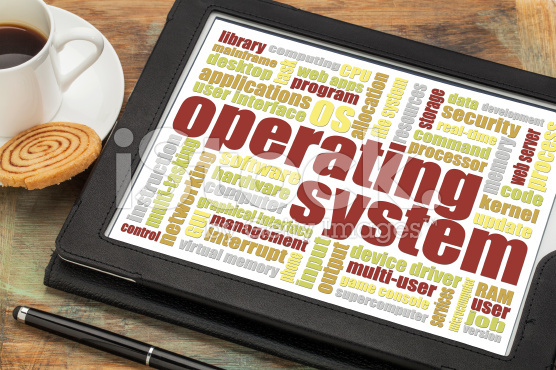 An operating system (OS) is a set of programs containing instructions that work together to coordinate all the activities among computer hardware resources. Most operating systems perform similar functions that include starting and shutting down a computer, providing a user interface, managing p rograms, managing memory, coordinating tasks, configuring devices, establishing an Internet connection, monitoring performance, providing file management and other utilities, and automatically updating itself and certain utility programs. Some operating systems also allow users to control a network and administer security. A stand-alone operating system is a complete operating system that works on a desktop computer, notebook computer, or mobile computing device. Some stand-alone operating systems are called client operating systems because they also work in conjunction with a server operating system. Client operating systems can operate with or without a network. Other standalone operating systems include networking capabilities, allowing the home and small business user to set up a small network. Examples of currently used stand-alone operating systems are Windows 7, Mac OS X, UNIX, and Linux. Windows 7 In the mid-1980s, Microsoft developed its first version of Windows, which provided a graphical user interface (GUI). Since then, Microsoft continually has updated its Windows operating system, incorporating innovative features and functions with each new version. Windows 7 is Microsoft’s fastest, most efficient operating system to date, offering quicker program start up, built-in diagnostics, automatic recovery, improved security, enhanced searching and organizing capabilities, and an easy-to-use interface. Most users choose one of these Windows 7 editions: Windows 7 Starter, Windows 7 Home Premium, Windows 7 Ultimate, or Windows 7 Professional. • Windows 7 Starter, designed for netbooks and other small notebook computers, uses the Windows 7 Basic interface and allows users easily to search for files, connect to printers and devices, browse the Internet, join home networks, and connect to wireless networks. This edition of Windows typically is preinstalled on new computers and not available for purchase in retail stores. • Windows 7 Home Premium, which includes all the capabilities of Windows 7 Starter, also includes Windows Aero with its Aero Flip 3D feature and provides tools to create and edit highdefinition movies, record and watch television shows, connect to a game console, and read from and write on Blu-ray Discs. • Windows 7 Ultimate, which includes all features of Windows 7 Home Premium, provides additional features designed to keep your files secure and support for 35 languages. • With Windows 7 Professional, users in all sizes of businesses are provided a secure operating environment that uses Windows Aero where they easily can search for files, protect their computers from unauthorized intruders and unwanted programs, use improved backup technologies, securely connect to Wi-Fi networks, quickly view messages on a powered-off, specially equipped notebook computer, easily share documents and collaborate with other users, and watch and record live television. Windows 7 adapts to the hardware configuration on which it is installed. Thus, two users with the same edition of Windows 7 may experience different functionality and interfaces.